Our third installment in this ongoing series of posts relating to integrity in the pulpit. Do we preach better than we live? Do we preach better than we believe? How does integrity come into play when we know we must preach a passage we know we’ve been struggling to live personally? How does integrity come into play when we know we must preach a truth that we’ve been having quiet, nagging, doubt-filled questions about? How do you handle discovering you’ve said something wrong in a sermon? [i] Larsen, David L., The Company of the Preachers(Grand Rapids, Michigan: Kregel Publications, 1998), 659. [ii] Chambers, Oswald, quoted in Oswald Chambers: The Best From All His Books (Nashville:Thomas Nelson Publishers, 1987), 135. Continuing our exploration of just what integrity would look like in the pulpit. What does it mean to handle Scripture with integrity? How may our preaching model integrity with the text of Scripture for our people? In what ways may we violate integrity with the text of Scripture? What does integrity with Scripture have to do with the shape and form my sermon take? How does integrity with Scripture relate to the issue of authorial intent? Can we say with integrity “This text illustrates the truth that . . .”? as opposed to saying “God’s purpose for having this text written is . . .”? How does this relate to the work of setting forth a preaching calendar/schedule? How does this relate to preaching in response to crisis moments in the church? How does this relate to preaching a “prophetic” message to a particular situation? What makes for authority in preaching? Is our aim to preach with authority? Or to preach a message that has authority? How might confusing the two potentially jeopardize our integrity? [i] Piper, John, The Supremacy of God in Preaching (Grand Rapids, Michigan: Baker Book House, 1990), 41. [ii] Mohler, Albert, “A Theology of Preaching,” Michael Duduit, ed., Handbook on Contemporary Preaching (Nashville: Broadman Press, 1992), 15. In this series of posts I’ll be speaking to the preachers. All others are welcome to listen in, but I’ll be talking to those who share my calling as a proclaimer of God’s Word. Gentlemen, we all want to preach. God has put that compulsion within us. Rightly, we all want to preach well. History affirms that one can preach without integrity, but eternity will reveal that no one ever preached well without it. So, may I ask: What is integrity? 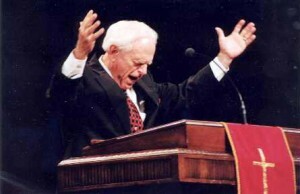 What does it look like in a preacher? Perhaps an answer to those questions lies on the other side of an answer to this one: What is the opposite of integrity? Is it compromise? Is it a divided heart or mind? Are there truths that we, even as preachers, simply tip our hats at, but fail to truly believe? We expound them. We can alliterate three points related to them. But do we believe them? How does this relate to integrity in the pulpit? I have never found a better explanation of integrity than that of Warren Weirsbe in his book The Integrity Crisis. 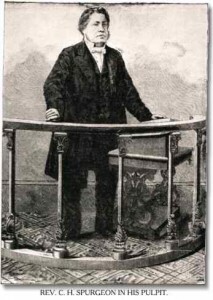 What, then, does that look like in the pulpit? In this series of posts I’d like to suggest six areas to which integrity is essential, if we as preachers are to preach well — by eternity’s and God’s accounting. I will take the suggestive approach, rather than a declaratory approach. I want to invite (even instigate) your thinking. To that end I’ll set forth both some questions and quotations in each area. First, then, is . . .
What makes for a “good sermon” in God’s estimation? 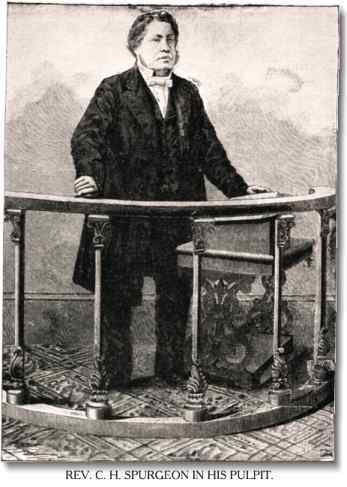 What makes for a “good preacher” in God’s estimation? What issues do you picture God raising about your preaching when you stand for review at the judgement seat of Christ? What issues do you think God won’t raise that we now concern ourselves with? We often think of preaching with integrity in terms of our content and its conformity to the truth of God’s Word, what else may come into play as we consider preaching before God with integrity? What practical differences does the knowledge of that accountability make? [i] Weirsbe, Warren W., The Integrity Crisis (Nashville: Thomas Nelson Publishers, 1998), 21. [ii] Moody, D.L., quoted in Larsen, David L., The Company of the Preachers (Grand Rapids, Michigan: Kregel Publications, 1998), 510. [iii] Simpson, Matthew, quoted in Larsen, 536. February 7, 2011 / admin / Comments Off on Listen! Do You Hear? Where only Two can hear. From stars and trees and deer. Plunging into death and fear. God now shedding infant’s tear. As He our sins does bear. As triumph now comes near.